What became of those veggies? Chicken Cacciatore--think chicken cooked in sugar and vinagar and tomato sauce. On mashed potatoes of course (normally, pasta, but I work with what I've got). This was a thumbs up. 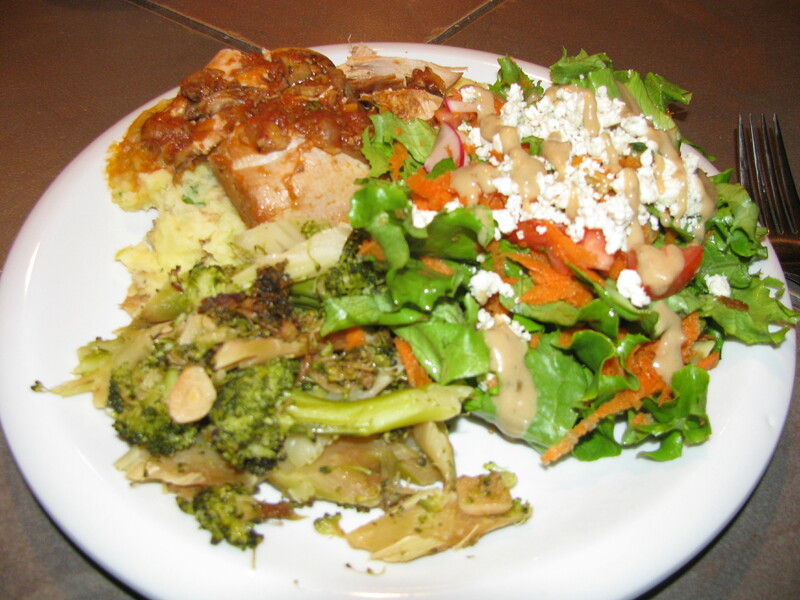 Here served with broccoli and a salad--those are CSA carrot shavings in there! Bye bye more carrots and potaotes! 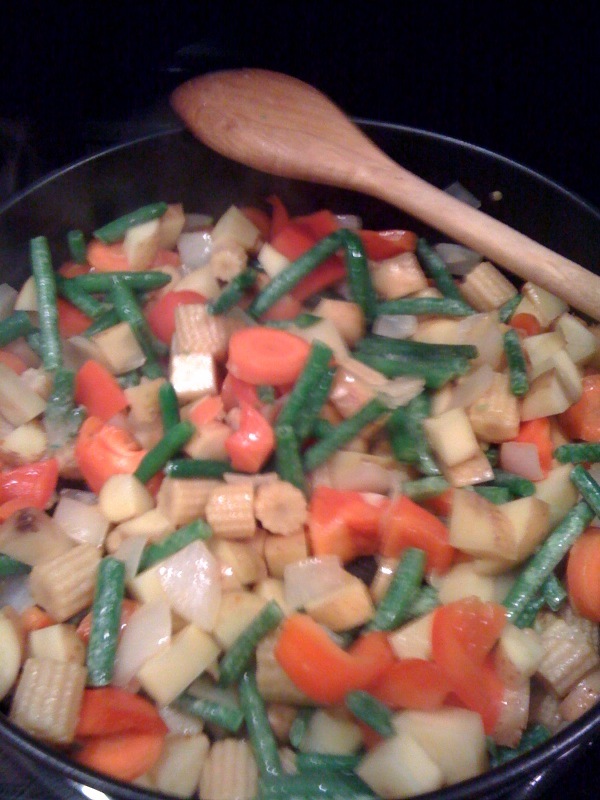 This time, veggie curry. Canned sauce. Yum. 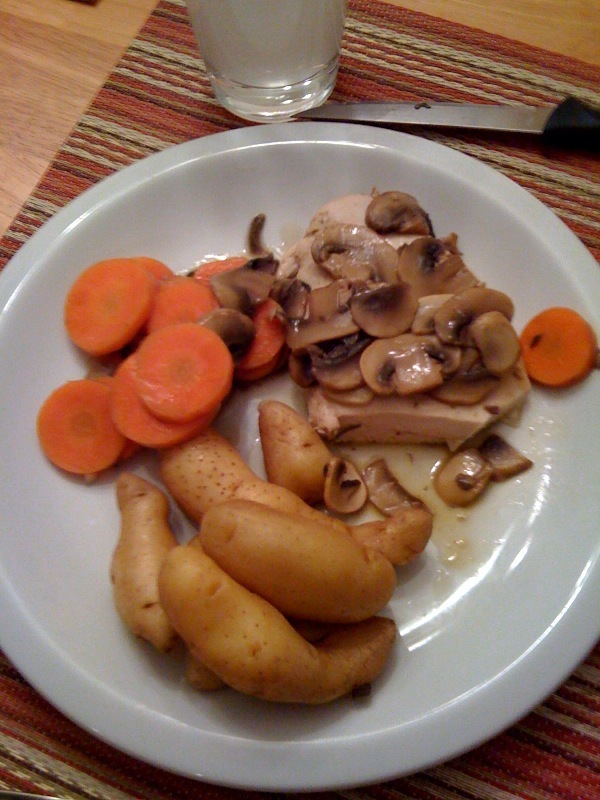 Officially, "mushroom poached chicken with fingerling potatoes and carrots." Unofficially, "mushroom poached everything so everything tastes like mushrooms." You catch my drift. No bueno. Yeah, I know, there was no rice in my CSA share. 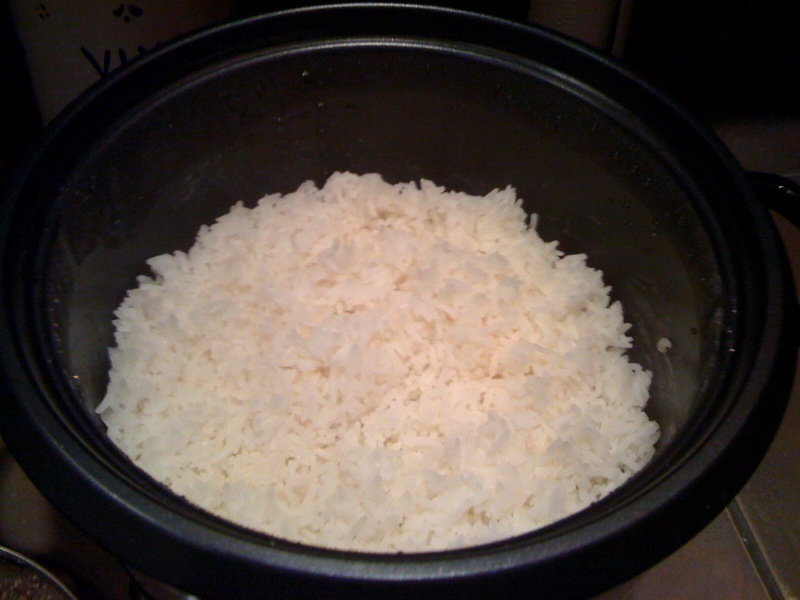 But I got a rice cooker for my birthday from my most awesomest boyfriend and it cooked up a puuurrrrrfect batch o' jasmine rice to go with curry and I was just so thrilled I took a picture.